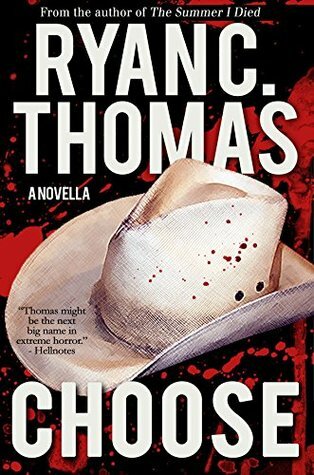 What is your favorite/least favorite genre to read? I listened to the unabridged audio version of The Selkie Sorceress by Sophie Moss and narrated by Hollis McCarthy. Listening time for The Selkie Sorceress by Sophie Moss is 8 hours, 47 minutes. The Selkie Sorceress by Sophie Moss is the third novel in The Seal Island trilogy. 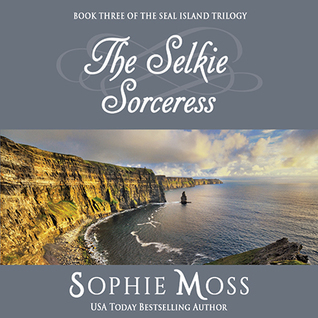 I enjoyed listening to The Selkie Sorceress by Sophie Moss better than I did The Selkie Enchantress by Sophie Moss (the second novel in the trilogy). BUT I still didn't love The Selkie Sorceress by Sophie Moss as much as I did the first novel in The Seal Island trilogy. The Selkie Sorceress by Sophie Moss definitely had some perks to it. For instance, it contains a lot of folklore and mythology in it about mermaids, selkies, and St. Brigid of Ireland, which I found interesting to listen to throughout the novel. I also enjoyed how The Selkie Sorceress by Sophie Moss wrapped up the entire trilogy nicely at the end. Plus, it was also enjoyable to have all of the main characters still appear in the last and final novel of The Seal Island trilogy. I wasn't thrilled with some of the dramatics in this novel that I felt were over the top and had me rolling my eyes in a few scenes. I also thought Glenna and Sam's relationship could have been done differently in this third installment of The Seal Island trilogy... They'd meet in the first novel of the trilogy and both had a very strong romantic attraction to each other in the first two novels of The Seal Island trilogy, so I expected to see them begin a romantic relationship at the start of The Selkie Sorceress. But alas, no, that didn't happen because Glenna was too stubborn in not wanting to start a romance with Sam for reasons expressed in the novel, even though she is really attracted to Sam. Glenna also does some things to Sam that had me surprised that he'd still desire her in his life romantically. Glenna also hides secrets from others as well in The Selkie Sorceress, that I thought would anger other characters, but didn't after all. Overall, I am very glad that I finally listened to the entire Seal Island trilogy by Sophie Moss. I do enjoy novels set in foreign countries. I also enjoy novels that touch on folklore and mythology and also have romance and a bit of suspense to them to keep them interesting... The Seal Island trilogy has all of these elements to them. I simply wish the last two novels were as much of a delight to listen to as the first novel was for me. American detective Sam Holt has a knack for finding people who shouldn't be found. When his last case almost killed an innocent woman, he swore off detective work forever. But when this same woman asks him for one last investigation--to find her husband's long lost mother--Sam cannot refuse. Clairvoyant Irish artist Glenna McClure will do anything to stop Sam, even if it means teaming up with a powerful sorceress who she knows she cannot trust. But when the petals of a mysterious night-blooming rose begin to turn black, Glenna realizes that an even darker force is at work. To protect the people she loves, Glenna will have to face a terrible curse that has haunted her all her life before the final petal fades to ash. I am giving The Selkie Sorceress by Sophie Moss a rating of 3 stars out of 5 stars. 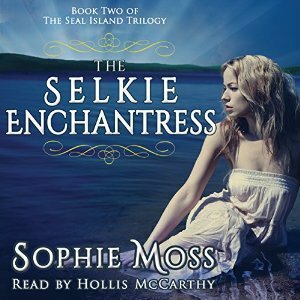 I listened to the unabridged audio version of The Selkie Enchantress by Sophie Moss and narrated by Hollis McCarthy. Listening time for The Selkie Enchantress by Sophie Moss is 9 hours, 7 minutes. The Selkie Enchantress by Sophie Moss is the second novel in the Seal Island Trilogy. I really enjoyed listening to the first novel in the series titled, The Selkie Spell, back in 2014 and once again earlier this month. I knew I wanted to listening the two remaining novels in the Seal Island Trilogy, so I downloaded them both earlier this month. I enjoyed listening to The Selkie Enchantress by Sophie Moss as it encompasses many of the same characters from the first novel, but focuses more on the budding relationship between Caitlin Connor and Liam O'Sullivan, plus the drama that ensues between them in this novel. I liked that The Selkie Enchantress by Sophie Moss is set in Ireland on an island and deals with Irish folklore and mythology. This is definitely a fun perk of the novel. However, with that being said, I must say that I wasn't as enchanted with The Selkie Enchantress by Sophie Moss as much as I was with The Selkie Spell by Sophie Moss. 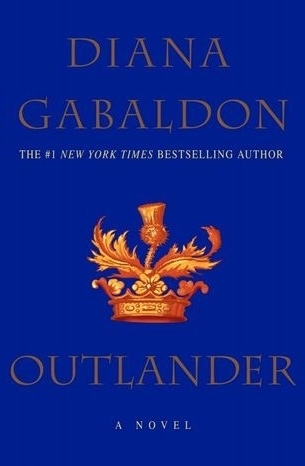 The storyline line just didn't resonate with me as much as the first novel in the series did... It just wasn't that engaging as the first novel was. The characters and the plot seemed more inline with a soap opera in some parts. Too much drama!! Plus, I found the ending for The Selkie Enchantress by Sophie Moss to be a bit lackluster as it didn't leave me excited to begin the third novel in the trilogy. I'm not that excited now to begin listening to the last installment of the Seal Island Trilogy as I was before listening to The Selkie Enchantress by Sophie Moss... I did recently purchase The Selkie Sorceress, so I'll be listening to it for sure. I am giving The Selkie Enchantress by Sophie Moss a rating of 3 stars out of 5 stars. Memoirs aren't something I've read a lot of in recent years. Sure I've read a few in recent years, but I seem to recall reading memoirs and biographies more in my younger years. Interestingly enough, I came across an article on Electric Literature's website titled, 8 Memoirs By Women With Unconventional Jobs by Vikki Warner, that had me curious to learn which books I'd discover about women with unconventional careers. Let's just say that all eight memoirs sound like awesome ones to read. I will be adding several of them to my ever growing reading wishlist. So click on the above link to find out for yourself which memoirs made the list. 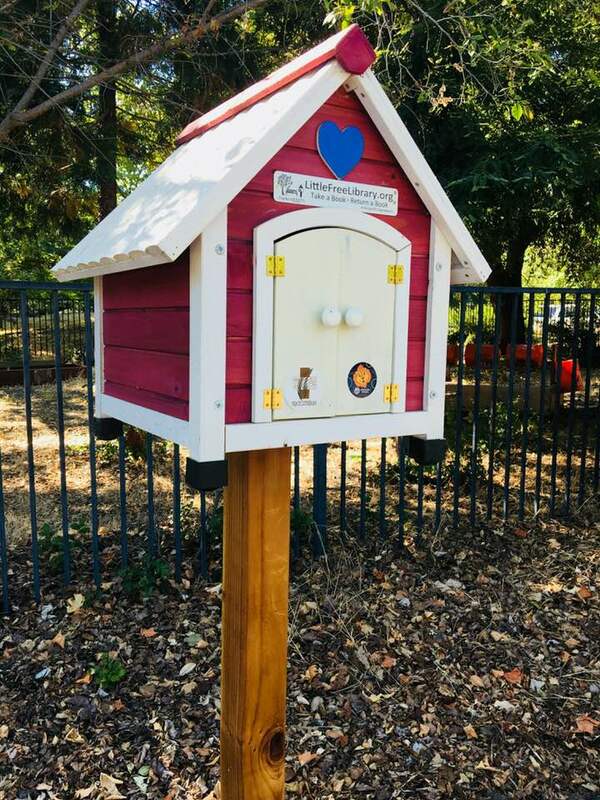 Another Little Free Library in Danville, California! The second new to me Little Free Library I discovered in Danville, California is located in a quaint residential neighborhood. I left two novels at this particular Little Free Library and took two novels. I came away with a wishlist novel, titled Everything Here Is Beautiful by Mira T. Lee. Plus, another novel I'd never heard of before titled, The Humans by Matt Haig. 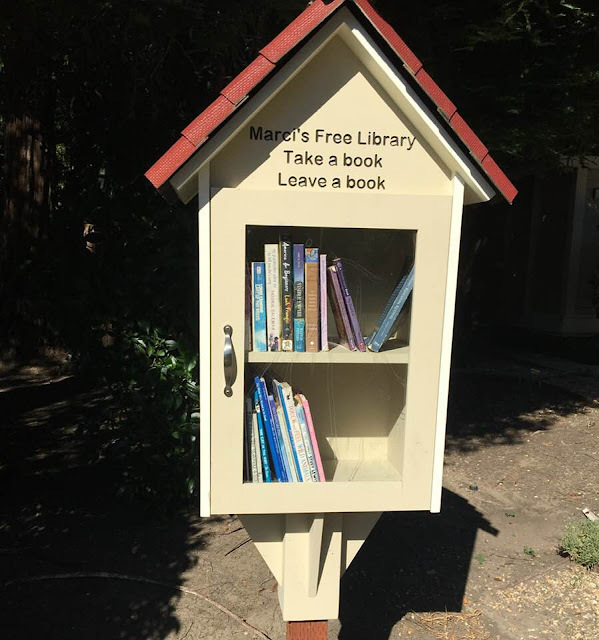 I visited two new to me Little Free Libraries over the weekend in the neighboring city of Danville! The first one I visited was at a the Stratford School. This Little Free Library is a very cute Little Free Library filled with books mainly for young children. Did You Know That Arthur Conan Doyle Helped Solve A Real Life Murder Case? In a recent Publisher's Weekly article, I learned about a new nonfiction book titled, Conan Doyle for the Defense: The True Story of a Sensational British Murder, a Quest for Justice, and the World's Most Famous Detective Writer by Margalit Fox, that is being released on June 26, 2018. I found it fascinating to learn that Arthur Conan Doyle helped solve a real life murder case! I don't reread books all that often. However, this month, I've found myself having reread two novels. 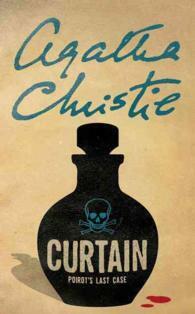 I reread Curtain: Poirot's Last Case by Agatha Christie earlier this month and more recently, I've finished rereading The Selkie Spell (Seal Island Trilogy) (Volume 1) by Sophie Moss. I first listened to the unabridged audio version of The Selkie Spell by Sophie Moss back in 2014 and loved it! I always knew that I wanted to listen to the other novels in Sophie Moss's Seal Island Trilogy, but it wasn't until recently that I downloaded the two remaining novels in this trilogy. I'd forgotten quite a bit of the plot details for The Selkie Spell by Sophie Moss, so I decided to listen to this novel again before starting volumes two and three of the Seal Island Trilogy. I am so happy that I listened to The Selkie Spell by Sophie Moss again as I found it to be just as enjoyable the second time around. I look forward to listening to the rest of the Seal Island Trilogy. 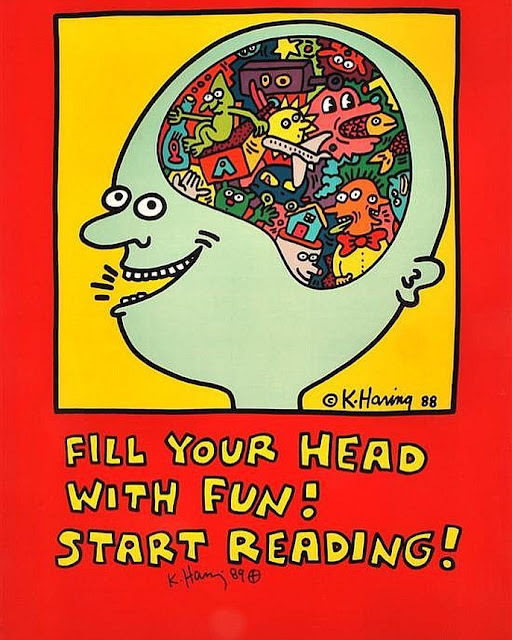 Which books have you reread recently? I listened to the unabridged audio version of The Whaler: The Island of Sylt, Book 1 by Ines Thorn and narrated by Nicol Zanzarella. Listening time for The Whaler: The Island of Sylt, Book 1 by Ines Thorn is 8 hours, 9 minutes. 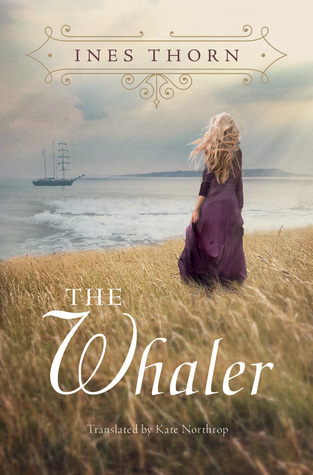 The Whaler: The Island of Sylt, Book 1 by Ines Thorn is a work of historical fiction set in the year 1764 in the village of Rantum on the island of Sylt in the North Sea. I thought that The Whaler: The Island of Sylt, Book 1 by Ines Thorn started off kind of on the slow side. In fact, I wasn't sure if I was going to like this novel very much as the main character, Maren Luersen, was a bit too headstrong, prideful, a tad spoiled, and a bit naive when it comes to love. Plus, the storyline didn't initially seem very compelling to me of a worthy read. However, the novel picks up about midway in and becomes much more interesting, thank goodness! There are twists and turns to be expected throughout the rest of the novel that make it more engaging... The ending for The Whaler: The Island of Sylt, Book 1 by Ines Thorn was short and a bit abrupt, but also predictable as to how it was going to end. I thought this novel was well narrated by Nicol Zanzarella. I'm not sure at this point if I will be reading the second novel in the The Island of Sylt series as I wasn't completely in love with the first book in the series. In the opening epic novel of The Island of Sylt trilogy by bestselling author Ines Thorn, a young woman must choose between love and poverty, or thrilling adventure and tormented passion. Life in the windswept village of Rantum in the North Sea is fraught with peril and hardship. Most families must rely on arranged marriage just to survive. But free-spirited Maren Luersen doesn't care for riches - her heart belongs to handsome but poor Thies Heinen. He may not have prospects or fortune to offer, but Maren knows their intense love can overcome any obstacle, and she is determined to be his bride. The wealthy and mysterious Captain Rune Boyse has other plans. He shocks Maren with a startling marriage proposal, and even though he can give her family a better life, her love for Thies is too powerful to deny. But when tragedy strikes, she finds herself in debt to the captain and must set sail with him on a dangerous whale hunt - with no promise of a safe return. If Maren survives, will life be the same back on shore? Or will her heart change course somewhere over the icy swells of the Arctic Sea? I am giving The Whaler: The Island of Sylt, Book 1 by Ines Thorn a rating of 3 stars out of 5 stars. 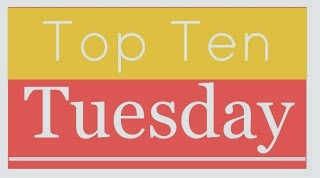 This week's topic is to select one's favorite book with a short title and also a favorite book with a long title. I read this years ago before I began blogging and loved it! I read this book last year and loved it! I listened to the unabridged audio version of The Whisky Sea by Ann Howard Creel and narrated by Angela Dawe. Listening time for The Whisky Sea by Ann Howard Creel is 8 hours, 40 minutes. I really enjoy reading historical fiction novels. So when I saw the cover for The Whisky Sea by Ann Howard Creel, read what the novel was about, and saw there was 1900+ (mainly glowing) reviews on Amazon for The Whisky Sea by Ann Howard Creel, I knew that I wanted to read it!! 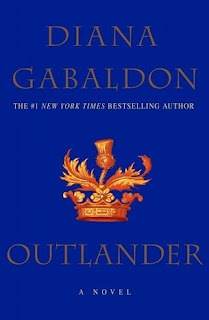 And did I mention I love the cover for this novel?? Well I do! 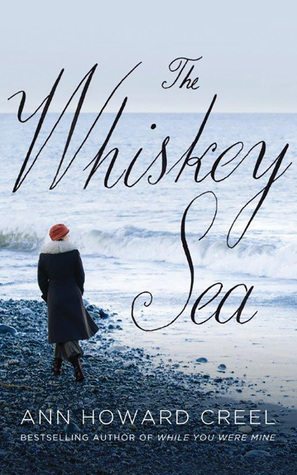 The Whisky Sea by Ann Howard Creel is set during the Prohibition Era on the eastern sea coast community of Sandy Hook. I love the main character of Freida Hope. Frieda and her younger sister, Bea, are left as orphans when their prostitute mother dies due to ill health. Both young girls are taken in by kindly fisherman named Silver, who becomes their only parent and father figure. Frieda Hope is a strong, independent female character who doesn't want to follow traditional female roles and become a secretary after high school until she marries a man. Instead, she wants to own her own boat and have her own a clamming business. But that dream dies when Silver sells his boat to another man leaving Frieda fuming and trying to decide what to do for work to become financially independent. Frieda apprentices as a boat mechanic and turns into a really good mechanic... But when she hears how much money rumrunners make for bringing in illegal alcohol, the lure of easy money to help take care of Silver after his stroke and her younger sister, Frieda doesn't hesitate to partake in this illegal activity. Lots of things happen when Frieda starts rumrunning that make The Whisky Sea by Ann Howard Creel an interesting read. I liked this story a lot, even if it wasn't a perfect one... A few minor things could have been answered that weren't in this novel. But mainly it was a wonderful novel that I enjoyed immensely. Additionally, I thought Angela Dawe made an excellent narrator for The Whisky Sea by Ann Howard Creel. I am giving The Whisky Sea by Ann Howard Creel a rating of 4 stars out of 5 stars. SF In SF - Science Fiction. San Francisco. - The Perfect Fit! 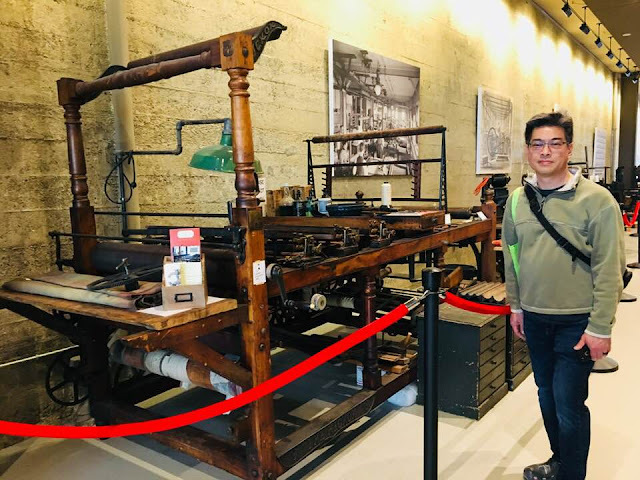 As an avid book lover, there is always a plethora of literary events and author signings in and around the San Francisco Bay Area to attend, for which I am immensely grateful. I recently learned about SF In SF - Science Fiction. San Francisco. - The Perfect Fit through author, Meg Elison's Facebook page. As a relevant side note here, I'd wanted to see/hear Meg Elison and a few other authors speak on day two of the 2018 Bay Area Book Festival. Unfortunately, I missed day two of the 2018 Bay Area Book Festival due to unforeseen circumstances. Fortunately, for me, Meg Elison is a resident of San Francisco's East Bay Area, so I was finally able to see/hear her speak last night at SF In SF along with authors, Terry Bisson, Ellen Klages, and Lucy Jane Bledsoe at the American Bookbinders Museum in downtown San Francisco. 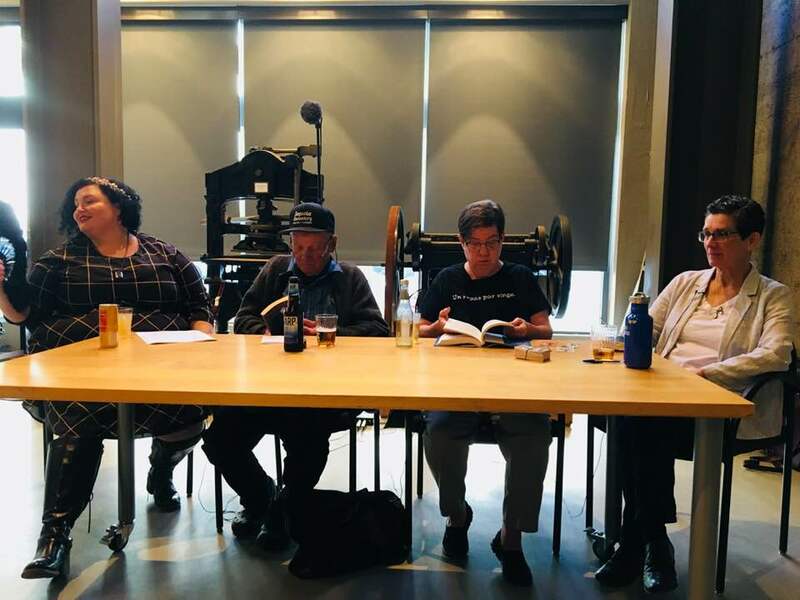 About 20-25 attendees came to hear moderator Terry Bisson introduce each author and then hear Meg Elison, Ellen Kluges, and Lucy Jane Bledsoe each read a bit of their writing, discuss their work, and answer questions from the audience. Afterward, each author signed copies of their books. I came away with five signed copies of books to added to my ever growing signed book collection. Science Fiction in San Francisco – A perfect fit. 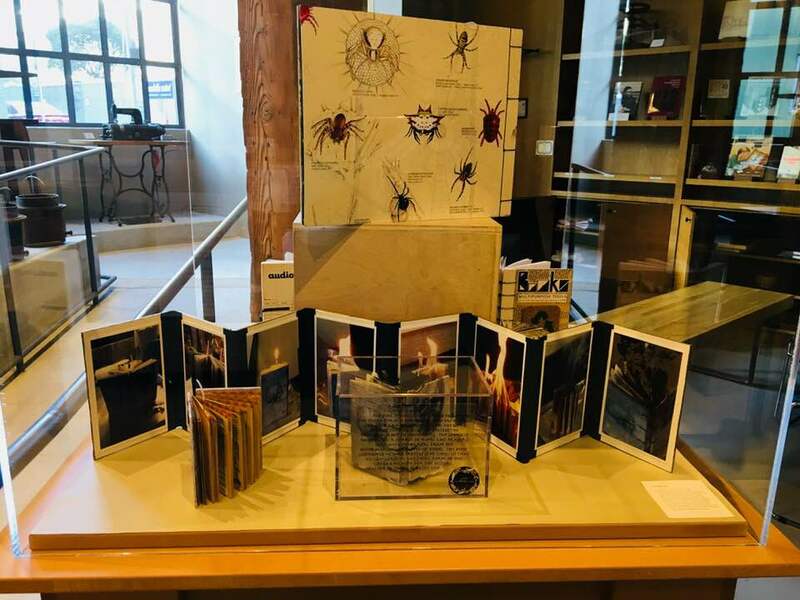 Located in the City, we host a monthly series of author readings from the science fiction, fantasy, horror, and genre literary fields, hosted by Terry Bisson. In partnership with the Balboa Theatre, we also host regular movie sneak peaks. All events are underwritten by our sponsor, Tachyon Publications. Books are sold at author events courtesy of Borderlands Books. Find us on Twitter at @sfinsfevents, on Facebook, and at Meetup under SF in SF Events. For more info, email Rina Weisman, coordinator, at sfinsfevents@gmail.com. My husband and I had a blast attending our very first SF In SF event last night and I am not even a huge fan of the science fiction genre... Neither is my husband as he doesn't read many books, but he happily comes to these book events with me. 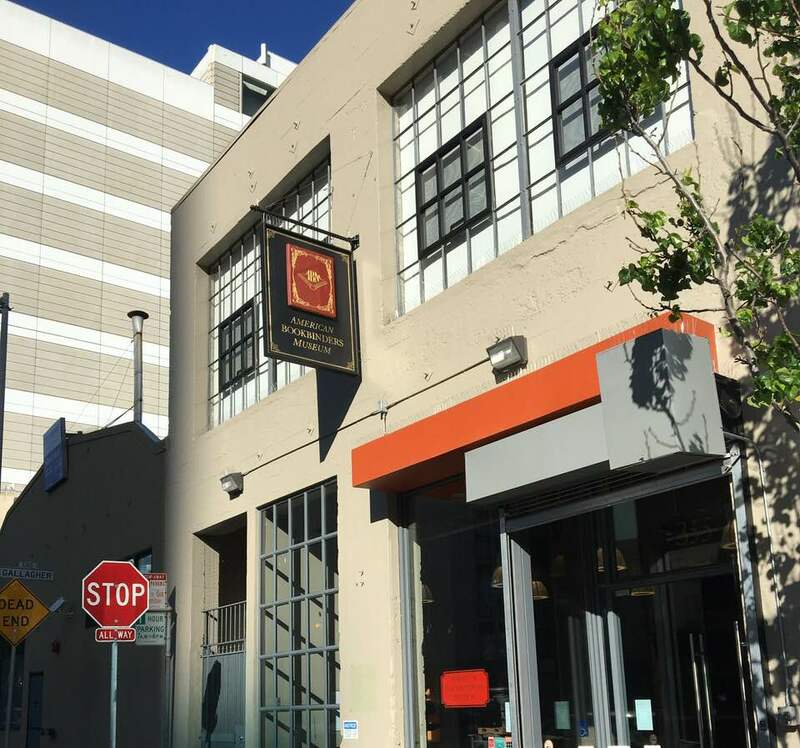 We were very impressed with the SF in SF event and the venue where it was held! The staff was very friendly and so were those attending this event. My hubby and I were at the SF in SF event for approximately three hours. We arrived early and enjoyed walking through the American Bookbinders Museum before the evening's festivities began. 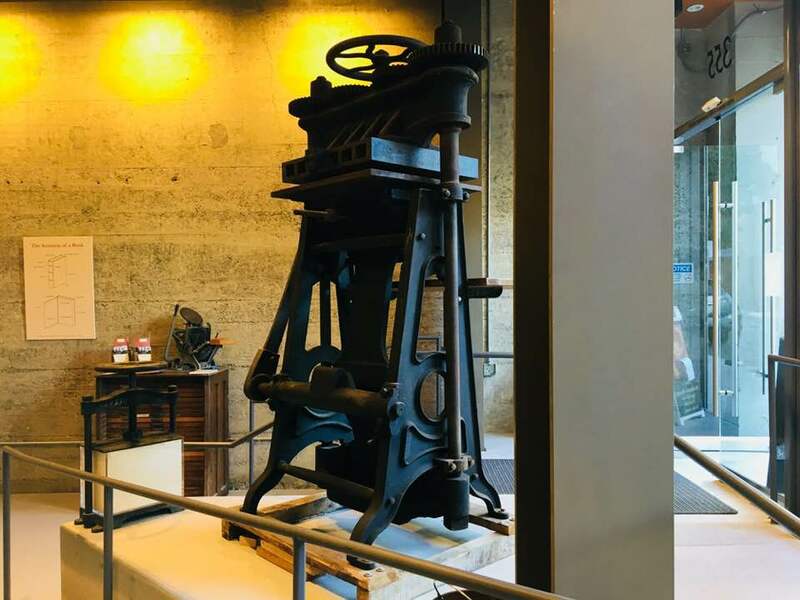 The American Bookbinders Museum is small but fabulous museum! We look forward to returning for one of the in depth docent lead tours in the future. The best part was having front row seats and hearing the authors speak/read and having my books signed by the authors! The perfect date evening with my hubby. I'm feeling blessed! I listened to the unabridged audio version of Half Past by Victoria Helen Stone and narrated by Emily Sutton-Smith over the course of two days! I really enjoyed this contemporary fiction novel immensely as it contained many elements that sucked me into the novel from start to finish. If you like books filled with dark family secrets, self discovery, and mystery, then this may be the novel for you! Half Past is the first novel written by Victoria Helen Stone that I've ever read. Victoria Helen Stone's storytelling is good, her characters are well developed, and I enjoyed the overall pace of Half Past. The main character, Hannah Smith, is a 45 years old woman going through a mid-life crisis. Hannah is dealing with a difficult divorce and has been laid off from a great paying job in Chicago when she moves back home to Iowa to help take care of her elderly mother with dementia. Hannah has always felt like the odd person out in her family and when Hannah's mom tells her “You’re not my daughter,” Hannah begins to wonder if this is the ramblings of a woman with dementia or if there is some merit to her mother's words. Long story short, Hannah discovers that the woman she has always thought was her biological mother is not really her biological mother after all and she learns this bit of information early on in the novel. This news sends Hannah on an odyssey of self discovery trying to uncover the truth of her family's past despite the fact that her two older sisters are not on board with Hannah's need to know more about her family's secretive past. This journey takes Hannah from her small town home in Iowa to Big Sur, California in search of much needed answers. And answers, Hannah, does receive! Hannah discovers more than she bargains for by the end of the novel. All in all, I really enjoyed Half Past by Victoria Helen Stone. There were a few little things that didn't make this novel the perfect read that I won't go into, but for the most part I truly enjoyed reading Half Past. As a side note, I've been to Big Sur, California and find it beautiful. I've also visited Chicago before on vacation twice. And I've lived in a small college town in Iowa. So reading this novel was fun as it touches on geographical areas I'd want to read about. Plus, the main character is close to my own age and the thought of having to one day deal with aging parent(s) in failing health may be something I have to one day deal with in the future. Although, I can't imagine having to deal with discovering some deep dark family secret on top of that! Wouldn't that be the pits!? 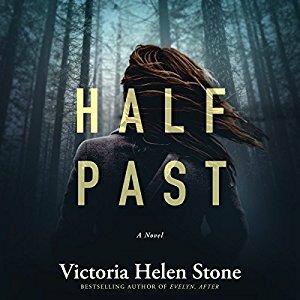 Listening time for Half Past by Victoria Helen Stone is 7 hours, 28 minutes. Emily Sutton-Smith is a good narrator for this novel. At forty-five, Hannah Smith is at a crossroads. That’s her spin on it. The reality is she’s divorced, jobless, and moving back to her family home in Iowa to keep an eye on her mother, who’s slipping into dementia. Her return stirs up the same unnerving sense of disconnect Hannah has felt since childhood—always the odd girl out, the loner outshone by her two older sisters. Hannah knew the feelings of hurt would come back. But she never expected fear. Because when her mother looks into her eyes and whispers, “You’re not my daughter,” Hannah is beginning to believe it’s not just the rambling of a confused woman. Now Hannah’s following the trail of a family mystery to the dark coast of Big Sur, where years ago a lie was born—and buried. As frightened as she is to unearth it, Hannah knows this is the last chance she has before her past—and all its terrible secrets—are lost forever. I am giving Half Past by Victoria Helen Stone a rating of 4 stars out of 5 stars. This week's topics is to share one's favorite book starting with the letter A and letter Z. Tough topic this week for me as it's difficult to recall all the books I've read that start with the letter A or Z that I've enjoyed reading over the years. Below are my choices for this week's topic. Share with me in the comment section below your favorite book starting with the letter A and Letter Z.
I became aware of author, Bonnie Dee, last year when I read her novel, Bone Deep, on my Kindle. I loved reading Bone Deep so much, that I read it twice last year! Bonnie Dee is a really good storyteller and really enjoy the characters she creates. With that in mind, I knew that I wanted to read another novel written by Bonnie Dee in the future! I began following Bonnie Dee's Facebook page last year. 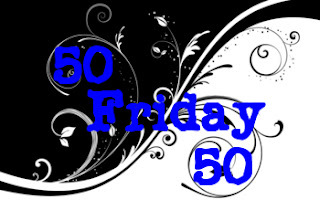 I noticed that she was hosting a few giveaways on her Faceback page for some of her novels. One of the giveaways Bonnie Dee was offering on her Facebook page was for the MP3 audio version of her novel, A Hearing Heart, which is one I had been wanting to read. Lucky me, I received an MP3 copy of A Hearing Heart by Bonnie Dee for FREE from the author! Below is my honest, unbiased review for the unabridged audio version of A Hearing Heart by Bonnie Dee and narrated by Natasha Soudek. Listening time for A Hearing Heart by Bonnie Dee is 11 hours, 33 minutes. A Hearing Heart by Bonnie Dee is a historical, romance novel with a few erotica scenes mixed in throughout the novel. A Hearing Heart by Bonnie Dee takes place in a small town in Nebraska in 1902. I enjoyed the storyline, plot development, and the characters very much in this novel. Bonnie Dee is a natural born storyteller and has once again created another fabulous novel that readers will want to devour if they like reading historical romance novels with a touch of eroticism in them. My only struggle for the audio version of A Hearing Heart was that of the narrator, Natasha Soudek. Ms. Soudek is a slow narrator with a mediocre voice. 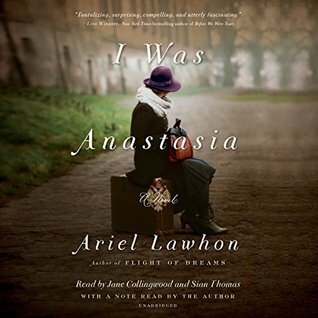 If you can bring yourself to move past the narrator for this novel, you'll enjoy the audio version very much. If you are unable to move past mediore narration in an audiobook, then definitely read A Hearing Heart by Bonnie Dee instead of listening to the audio version. After the death of her fiancé, Catherine Johnson, a New York schoolteacher in 1902, travels to Nebraska to teach in a one-room school. When violence erupts in the sleepy town, Catherine saves deaf stable hand Jim Kinney from torture by drunken thugs. As she begins teaching Jim to read and sign, attraction grows between them. The warmth and humor in this silent man transcends the need for speech, and his eyes tell her all about his feelings for her. But the obstacles of class difference and the stigma of his handicap are almost insurmountable barriers to their growing affection. Will Catherine flaunt society's rules and allow herself to love again? Can Jim make his way out of poverty as a deaf man in a hearing world? And will the lovers overcome a corrupt robber baron who has a stranglehold on the town? Romance, sensuality, and adventure abound in this heartfelt tale. I am giving A Hearing Heart by Bonnie Dee a rating of 4 stars out of 5 stars. I learned about The Silent Book Club yesterday evening through the ChitChat Forum on Bookcrossing when another Bookcrosser wrote about their experience participating in a Silent Book Club Meet-Up over the weekend. The Silent Book Club sounds delightful!! So, I thought I'd take a look at their website and make a post about it here on my book blog for other readers to discover. Silent Book Club started in 2012 with a couple of friends reading in companionable silence at our neighborhood bar. We loved books, and reading with friends, but most of our previous attempts at book clubs had fizzled out. We started Silent Book Club because reading with friends is awesome. We love hearing about what people are reading (often in their other book clubs) and we think it's important to put down our phones and be social. Real, live, breathing-the-same-air social, not hearting-you-on-Instagram social. 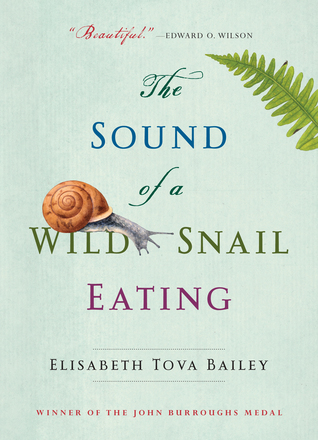 Have you heard about The Silent Book Club before? Is this a book club you'd consider participating in? If you have attended a Silent Book Club meet up, please share your experience below in the comment section.